General Motors has unveiled the 2020 Cadillac XT6, its first three-row crossover which sits above the two-row XT5 and below the Escalade. 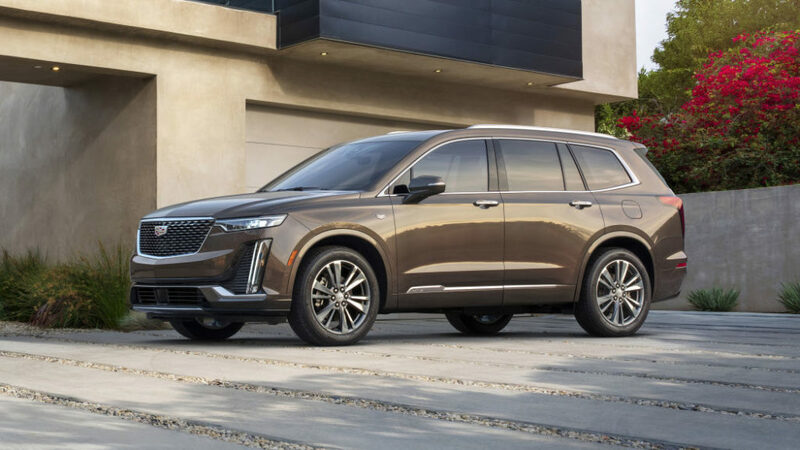 The XT6 is built off the C1XX platform which also underpins Chevy Traverse, GMC Acadia and Buick Enclave and as such shares common chassis and powertrain hardware. Like those counterparts, XT6 has strong packaging at all three rows with good headroom and legroom for back row passengers. However, XT6 suffers against the competitive set in terms of behind-third-row storage at just 12.6 cubic feet, (43.1 cubic feet with second row down, 78.7 with all three folded). Motivation comes from only one source, a 310-hp 3.6-liter V-6 engine and nine-speed automatic transmission combo, while a strut-type front and multilink rear suspension manage body motion. Front wheel drive is standard, all-wheel-drive optional, and max towing is set at 4,000 lbs. 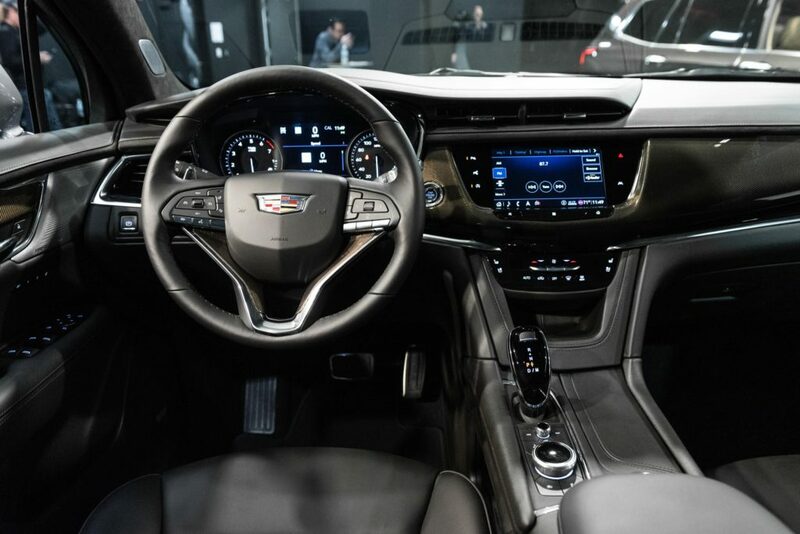 XT6 brings an 8.0-inch touchscreen running Cadillac’s CUE infotainment system, as well as a 4.2-inch driver-information display between a pair of analog cluster gauges. A mix of USB-A and USB-C charge points are standard for all rows, with an available wireless charge pad. XT6 also has an available air ionzer, which is an interesting option not common in the industry. 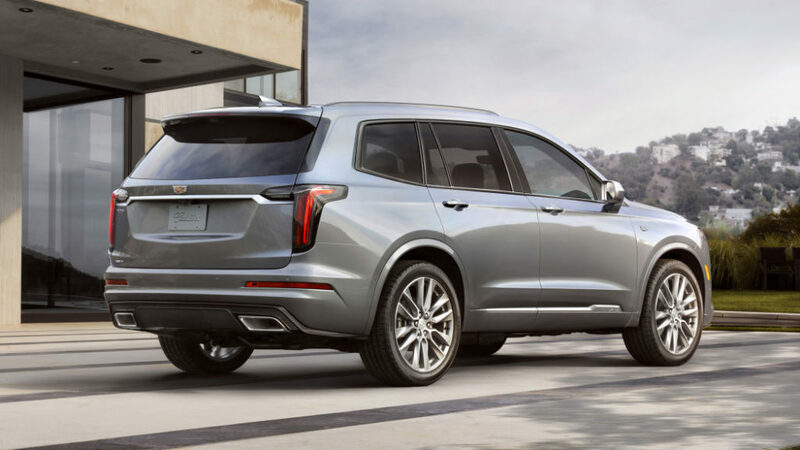 Safety tech includes forward-collision warning, automated emergency braking, front and rear parking sensors, lane-keeping assist with lane-departure warning, and blind-spot monitoring. Bewilderingly, the SuperCruise semi-autonomous driving system is reportedly not available. XT6 will be available in two trims, Premium Luxury and Sport. Sport includes aesthetic changes as well as standard AWD, and adds a torque-vectoring rear differential and active dampers as well as yaw control. Pricing is unannounced, but a start in the low- to mid-$50k range would not be surprising.